Hello! 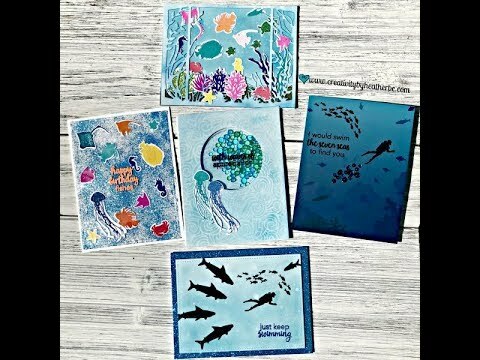 Today we are blog hopping to show the versatility of the Simple Blend Stencils. What I love about these stencils is that you get the masking part of the stencil as well. It is like getting two stencils in one! I used the Simple Blend Circle to create the large moon in a Halloween scene card. To create this card I started by blending a white panel using Aubergine, Midnight, and Phonebook surface inks with a blending tool. Once the panel was blended to create a night sky I used purple tape to tape the stencil in place so I could begin to add Deco Foil Transfer Gel. This will allow me to foil the circle once the gel has dried clear. While I waited for the transfer gel to dry I stamped out a little girl witch, bat and spider from the All Hallows Eve stamp set on watercolor paper. 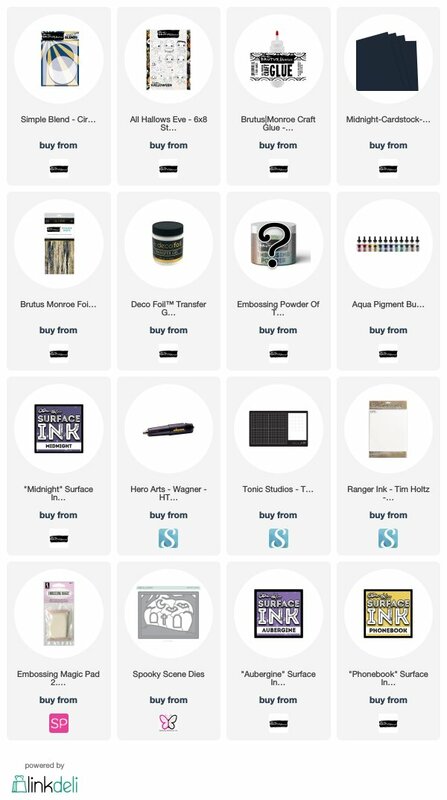 Brutus Monroe has a new product called Aqua Pigments, which are liquid watercolors. The colors are so vivid and bright and so easy to work with. For the trees and hill in the scene I used Spooky Scene die from Hello Bluebird cut from Midnight cardstock. I also used Midnight surface ink to add additional dimension to the die cuts. Once the transfer get had dried I added a Drybrush foil transfer sheet. I love how it has the colors of black, grey and gold in brushed lines. It reminded me of the moon with dark clouds in front of it. I assembled the card and added the sentiment Happy Halloween from the All Hallows Eve stamp set using grape fizz embossing powder and attached the panel to a card base. There are so many ways to use the Simple Blends. They come in multiple shapes as well. Check out the awesome techniques the rest of our design team used below.